Curls are what most of the women with straight hair desire for. These days curly/wavy hair is much in demand as most of the women and even celebrities and models are going for this latest trend. There are many options for hairstyles with curly hair, but women like to show off their curls by keeping the hair open. Getting curls is an easy task when done with rollers. There are different types of rollers among which you should select the one which you like the best. Like Velcro rollers are used the most, as they stick on the hair by itself and no roller pins are needed to fix them up. But plastic rollers and hot rollers are bit different from Velcro rollers as you will need roller pins to fix them up. Before starting the process of getting curls you should collect some pictures of celebrities or models who have curly hair and show it to your hairstylist. It is done so that your hairstylist will get the idea on what size of rollers should be used. If you don’t have any pictures then you can explain your hairstylist whether you want tight curls or loose curls or combination of both. If you are doing this at home, then for getting tight curls you should use rollers of small size and for loose curls broad, large rollers has to be used. Starting with the process of getting curls, firstly you should divide your hair in sections so that rollers can be applied easily on the hair. Taking the first section, apply hair spray first and then put on rollers. If you are using Velcro rollers then its fine not to use any roller pins, but if you are using hot rollers or plastic rollers you should fix the roller with the help of roller pins. Repeat this section by section and thus cover whole hair. When using hot rollers for getting curls, make sure that you have preheated the rollers. 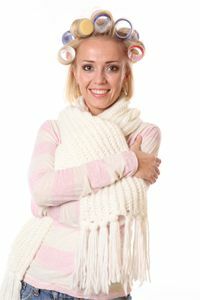 To allow the curls to be properly set you should make sure that you remove the rollers only after they are cooled off. There is no need to apply any hair spray at the time of removing the rollers, just make sure that you comb the hair either with the brush or run your fingers within them. When using Velcro rollers or plastic rollers you have to make sure that external heat is applied to make the process fast. Unlike hot rollers they are not hot from within and so you should use blow dryer to give heat to the rollers. You should apply hair spray so that you get desired curls and not something. After you have applied hair spray, then use blow dryer to give heat to the hair. After some time stop this and start removing the rollers. While removing each roller, apply hair spray on each section so that the curls remain for longer time period. Choose the type of the roller and size of the rollers carefully as they are very necessary to define which type of curls you want. Also keep in mind that you should start the process of getting curls with damp hair as damp hair can be shaped easily. Complete the process when the hair have become completely dry i.e. remove the rollers when hair has dried. Getting curls/waves is the latest trend after which most of the women are going for. Also women with straight hair want a change so they are also going for the curls. Don’t hesitate to think if you would look good in curls or not, as curls are meant for everyone. 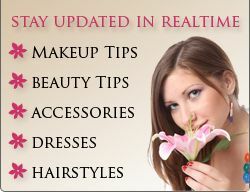 Just keep in mind the above tips and you will surely look beautiful in curly hair.